German bathroom manufacturer hansgrohe is well known for their innovation and design concepts. Some of the World's best designers are employed at hansgrohe and with collections such as Raindance and Starck heading up the list, and high-design led AXOR, they receive multiple design awards. 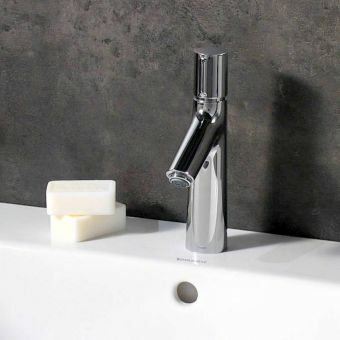 Recognised as one of the forerunners of bathroomware innovation, Hansgrohe present their stunning collection of contemporary taps and mixers for the modern, luxury bathroom space. Create the experience of your own fully controllable shower with the Hansgrohe showering collection, a comprehensive series of shower kits, heads and accessories that employ EcoSmart technology for lower running costs. Hansgrohe iBox Universal Concealed Shower Valve£58.42 inc.VATRRP: £127.00 (Save 54%)iBox only, requires a Hansgrohe trim set. 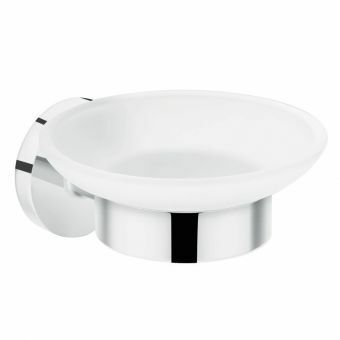 Choose from a huge selection of matching Hansgrohe valve trim sets. 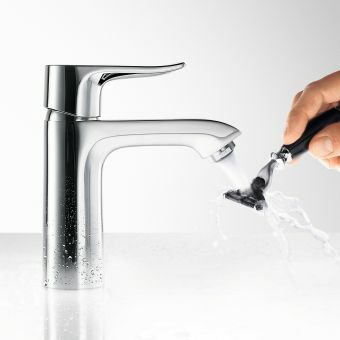 Sample the unique and creative bathroom accessories from Hansgrohe and the AXOR Collection. Designed by leading designers and experts to produce the finishing touches that will make your house a home. 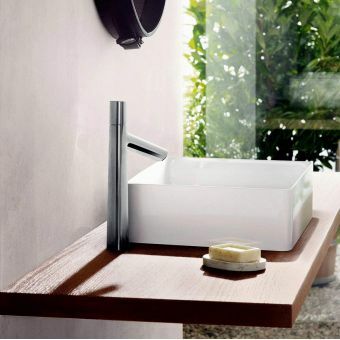 Hansgrohe is at the forefront of bathroom design and innovation. They are so passionate about creating a tap or shower like no other, they work with world class designers Ronan and Erwan Bouroullec, Patricia Urquiola, Jean-Marie Massaud, Antonio Citterio, Philippe Starck and more. In terms of design, they are world leaders as they have more that 500 international design awards, from RedDot to ELLE Deco International Design Awards. When you buy a Hansgrohe product, you can be assured you are getting a tap or shower that has been rigorously tested and well thought out. Hansgrohe products a jammed full of the latest industry advancements that range from Pneumatical shower controls in their Select products to Eco Smart designed to have minimal impact on the environment. For more information about hansgrohe's design features, please see the buyers guide at the bottom of the page. 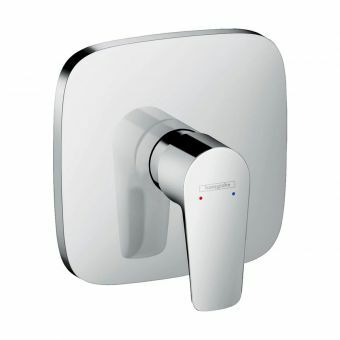 For us at UK Bathrooms hansgrohe is the go-to brand for peace of mind. We just do not have problems with their products and each member of the team will tell you the same thing; just ask us. Their technical support for pre-installation and post-installation cannot be beaten. They can provide you and your fitter all the help you will ever need to ensure that your hansgrohe items continue to make your bathroom something special. The Hanshgrohe Pro site is the perfect place for specifications, technical documents, installation videos and everything you will need to make sure your installation goes smoothly. The image above illustrates hansgrohe's international offices including their London Water Studio for designers and architects. hansgrohe is an innovative company, where you will find a full range of equipment for everything to do with water in the bathroom. 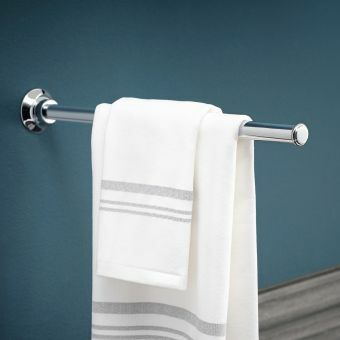 This does not just include high quality durable hansgrohe showers but a vast array of taps and bathroom fittings too from toilet roll holders to mirrors. The video above demonstrates the hansgrohe and AXOR brands, the go to names for high-quality German built and designed bathroom brassware. hansgrohe believes that a shower is just not getting wet under a warm water spray; they consider it to be much more than that, very much more than that. 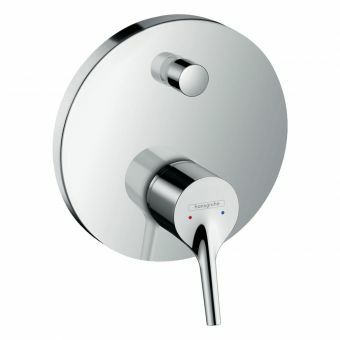 Although hansgrohe produced their first-hand shower in 1928 and they continued to develop and innovate showering right up to the revolutionary air shower range introduced in 2005. hansgrohe changed the way we shower in 1968 with the introduction of the Selecta hand shower with adjustable spray modes. However, in 2005 showering entered a new era with the introduction of the air shower. The number of spray modes can still be adjusted but now air was introduced into the mix. With this introduction of air, the Jets are completely transformed into soft rain or a powerful water massage. hansgrohe have a distinguished history of design, manufacturer and true innovation in bathroom technology! The introduction of air at the shower head completely transforms the how the water falls and it can be described as anything from gentle rain to a vigorous massage. The Raindance range is offered I fixed overhead form with shower heads ranging in size fro 100mm to 600mm as well as standard handheld installations. 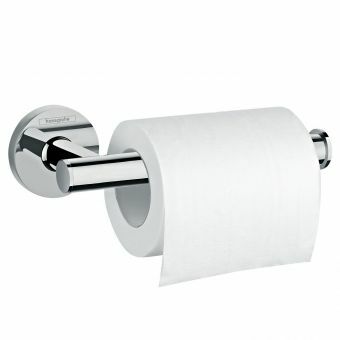 Naturally, when we discuss with you the options for your new bathroom or en-suite facility you will have your own style. 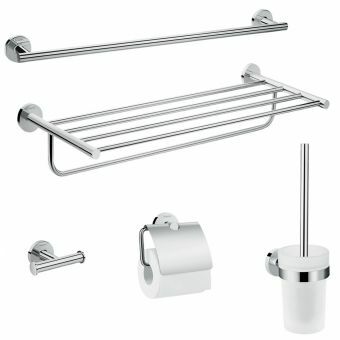 The fabulous range of bathroom products in the Axor brand is a diverse range of designer lines which have been created by internationally renowned designers, opening up many different possibilities to design your bathroom in your own individual style, ranging from avant-garde, contemporary or classic. We are pleased to be associated with the innovative company hansgrohe, where you will find a full range of equipment for everything to do with water in the bathroom. This does not just include high quality durable hansgrohe showers but a vast array of taps and bathroom fittings from toilet roll holders to mirrors. It is recognised that hansgrohe has become a major trendsetter for the entire industry; we will be pleased to discuss with you the practicality of fitting one or more of the hansgrohe products that can be accessed through our web page catalogue. hansgrohe like the majority of us is concerned about the environment. Traditionally bathrooms have been very wasteful of water. The more water you use the more hot water you use, which means more work from your boiler and increased energy usage and ultimately higher energy bills. hansgrohe is constantly developing new ways to improve their mixers and the current generation of EcoSmart taps can use up to 60% less water, but still, delivers the high-quality function you would expect from this leading German Manufacturer. These are products that have been designed to be user-friendly as possible. Using extended handles and specially designed noise free ceramic cartridges, you can be confident that the ComfortZone range of products is to the highest standards. 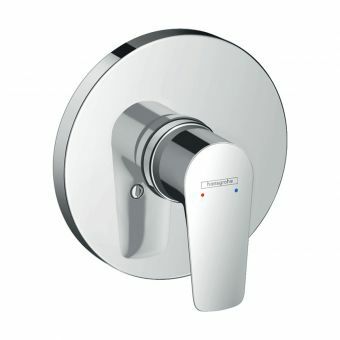 Following on from the progress hansgrohe has made with EcoSmart, they have all now developed cool start. When the mixer is left in the middle position it will only supply cold water. You have to move it to the hot water to get it to mix. Sounds simple right? But this clever commonsense idea will save the amount of energy you use in your boiler by making you think – do you actually need the hot water from the boiler. Any saving of energy also means a saving for your wallet too! Change the mood of your whole shower in an instant with the Select button. This simple yet robust addition to the existing Select range creates a gentle spray that can be changed to an invigorating avalanche of water in less than a second. Keeping your ShowerSelect head looking brand new is simple thanks to their patented anti-lime scale functionality utilising rub-clean heads that literally allow you rub the dirt away with your fingers. Look carefully at any hansgrohe shower valve and you will find the unique iBox offering you a multitude of installation options for a very small price. 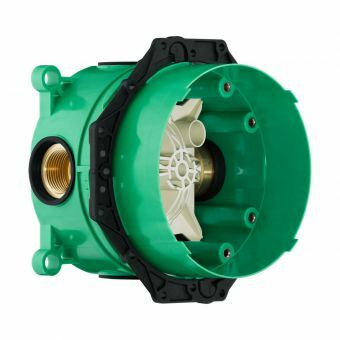 Sitting discreetly behind the visible face of the valve, the iBox is designed to connect several devices from shower heads and bath fillers quickly and easily plus offering simple access should you need to alter or service your pipework. The iBox Universal will make life simple for you and your plumber. Commitment to be known as a leading 'Green' company in the bathroom industry has been carried out far and wide as a guide in their eco-philosophy. Sustainable technology is built into all hansgrohe products and even their own production seeks to minimise waste and materials during their creation. Sophisticated recycling claims back significant amounts of materials while keeping carbon dioxide production to an absolute minimum. hansgrohe's Focus range of mixers blends modern design concepts with convenience, ensuring that users have greater levels of movement and space in their bathrooms - be this in the bath or basin. Each of the mixers in the Focus collection is designed for a purpose and give their users plenty of space and comfort in which to carry out their daily routines. Taller models in the range provide plenty of room under their swivel spout features and 240mm height. Alternatively, lower models such as the hansgrohe Focus 100 mixer, which stands at 204mm tall, the hansgrohe Focus 100 & Focus 110 single lever basin mixer, create visual highlights on washbasins. All the mixers featured in the Focus collection feature automatic water volume restrictions of 5 litres per minute; in addition to their functionality, they are also environmentally friendly. hansgrohe are bathroom specialists and their innovative shower ranges are renowned within the industry. The hansgrohe Raindance Select shower is a combination of the features of the Raindance overhead shower, Raindance Select hand shower and the Ecostat Select thermostat. These other models are all available separately as part of this range, as well as the Raindance Select shower pipe, shower kits and showerheads. The Raindance Select shower responds to the touch of a button, has a 150mm showerhead and a Select function. By pressing the Select button, users choose between three jet types for their overhead shower; from a choice of Rain Air (a soft jet), Caresse Air (which is a massaging jet) and Mix (a blend of the two.) 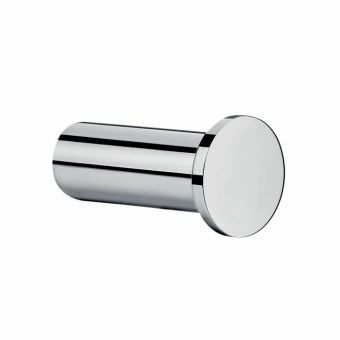 Design wise, users can choose from either a chrome plated spray disc or a white and chrome mix. Utilising both square and round forms, the ShowerSelect range from hansgrohe is the latest addition to a World-beating series of showering solutions. Their clutter-free fascias create a bold statement that invites a second look and when combined with the latest in soft-touch technology, changing shower styles is a simple as pushing a button. Ease of installation is always a bonus so when combined with the iBox universal backing valve, a swift and unflustered installation is assured. In addition, the large temperature controls make life easier if your grip is not too strong and with some finish sets having an integrated shower handset holder, convenience is maximised. hansgrohe's reputation in the bathroom industry is second to none and this German company has a wealth of experience that is backed up by a comprehensive guarantee in the unlikely event that something should go amiss in the future. Treat yourself to ShowerSelect and join in a design revolution that will make your new bathroom the perfect retreat. 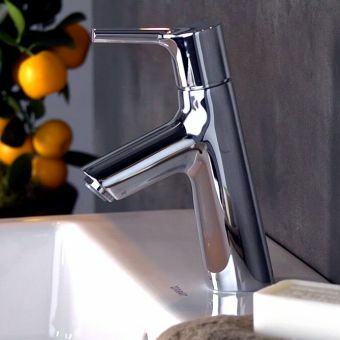 The hansgrohe Talis range offers a variety of modern mixers. This customisable range is extremely practical, the spout can be rotated according to a purpose and the models are designed to be used with comfort and ease. The hansgrohe Talis range allows the user to get the best use out of the space over their washbasin, bidet, bath or shower through models such as the hansgrohe Talis Single lever basin mixer and the hansgrohe Talis Single lever bidet mixer. 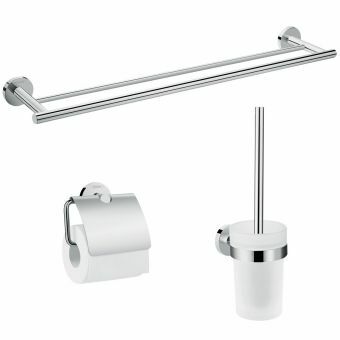 The hansgrohe Talis E2 bath spout & concealed bath shower mixer add a modern look to baths and showers. 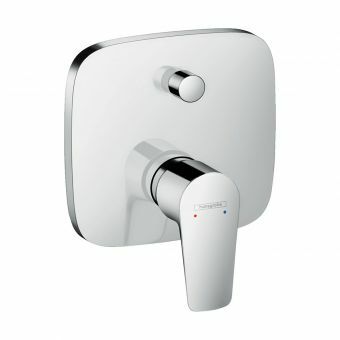 hansgrohe Talis also has a Classic range, with the same functionality as above but with visually more classic models. The hansgrohe Talis Classic natural basin mixer & Classic bath/shower mixer, both with chrome finish, form part of this range. All Talis mixers feature automatic water restrictors, making the range environmentally friendly. hansgrohe are bathroom specialists; they are renowned for their ranges of basin, bidets and bath taps and also for their innovative range of showers. The hansgrohe Croma Collection is an environmentally friendly and economical range of showers, including overhead showers, hand showers, shower valves and shower pipes. 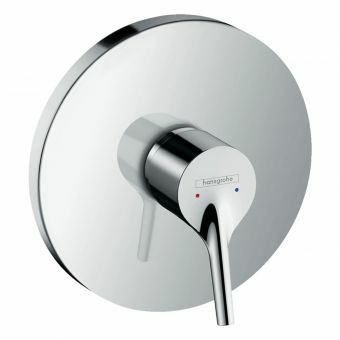 A variety of models forms the hansgrohe Croma 100 collection that includes the 100 Showerpipe EcoSmart, 100 1jet/Porter'S shower, Croma 100 Vario/Porter'S shower set also in varying sizes and accessories such as hansgrohe shower bars and hansgrohe shower pipe sets. As referred to in its name, the hansgrohe Croma 100 Showerpipe EcoSmart has inbuilt eco-technology, which mixes air with water, halving water usage per shower. This economical quality is something included in each of the models within the Croma range; all have built-in water restrictors that perform similar functions. 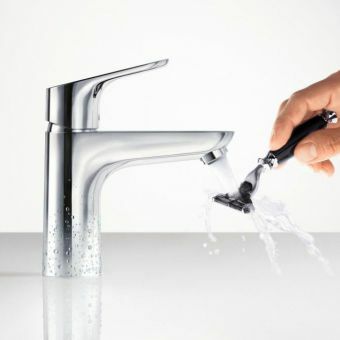 Logis mixers are not just exclusive to washbasins; the hansgrohe Logis bath spout provides users with the same level of design and convenience for their bath, with its AirPower feature enhancing the bathing experience by adding air to the water as it passes through the spout, for a luxurious feel. The hansgrohe Metris range is made up of a variety of economical mixers for use in the washbasin, bidet, bath or shower. 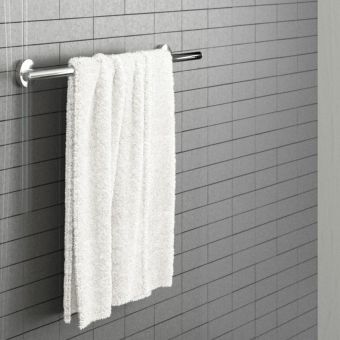 The range is practical, modern and minimalistic, adding a contemporary feel to the bathroom. Each model features inbuilt water volume restrictors, which ensure that Metris mixers are economical and environmentally friendly. 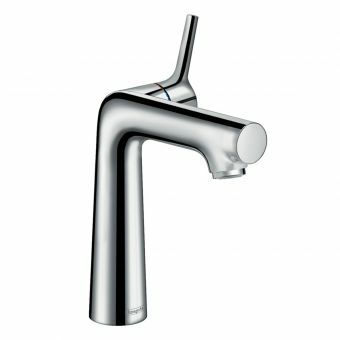 The range features models such as the hansgrohe Metris 110, the hansgrohe Metris basin mixer (which can be wall mounted, with a single lever or with a low flow tap) and the hansgrohe Metris Select (which can be used in the kitchen as well as the bathroom.) The Metris Select is built for ease of use; inbuilt Select technology means that users can simply press a button to start or stop water flow. 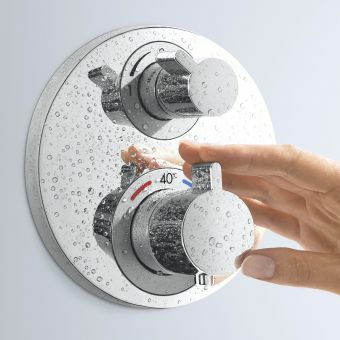 This does not use any electricity and for added convenience, the button is located on the front of the tap and responds to movement regardless of whether the users’ hands are dirty, full or busy. hansgrohe's range of PuraVida mixers is futuristic and contemporary in appearance and functionality. PuraVida mixers (designed for washbasins, bidets, baths and showers) are white and chrome (DualFinish) in appearance, brightening up a room and instantly adding a modern touch. They blend a mixture of comfort, style and innovative extras. hansgrohe's PuraVida mixers have hidden environmentally friendly features, to save the user both energy and water. hansgrohe PuraVida Basin mixers come in a variety of heights and sizes, such as the PuraVida Basin mixer with waste or small basin mixer, hansgrohe PuraVida 3 Hole Basin Mixer with waste, and the hansgrohe PuraVida tall basin mixer with waste. Models such as the bidet mixer with waste, allow users to carefully select the required temperature for their needs using the ComfortZone design. The PuraVida range extends to the shower too - with the hansgrohe PuraVida Exposed Bath Shower Mixer. Designed with highly innovative shapes and forms, hansgrohe Taps and Mixers are the go to series for anyone looking to add a dash of character to the bathroom, washroom or cloakroom. Merging robust build qualities, user-centric performance and stunning new takes on familiar concepts, hansgrohe taps represent the leading edge of European brassware design. Using strong angles and forms to great effect is the Axor Starck collection, with each piece fitted with oblique angles and useful control levers. More than just an innovative appearance, these offer greater leverage to the user that is ideal for people with a weaker grip, or for when your hands are soapy. This attention to detail marks hansgrohe apart from the pack. Representing the top end of hansgrohe design expertise and innovation is the PuraVida 3 Hole Basin Mixer, designed to add an unrivalled wow factor to the glamorous interior. With such an impressive collection of pieces, it is hard not to be impressed by the hansgrohe level of skill in product creation. As a German company, they deliver quality products to over 130 countries Worldwide with over 80% of their core products being produced within Germany's borders itself. Efficiency and innovation are just two of the qualities the design engineers strive for when researching new product production. Reliability combined with outstanding customer service is a cornerstone of the hansgrohe ethos and should you have any sort of problem a five-year comprehensive warranty will keep you happy.